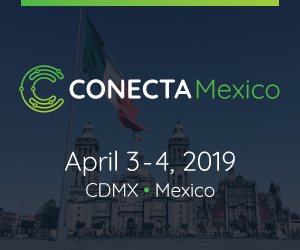 Promon’s domain expertise and strength in the Latin and Central America markets provides telecommunications operators with a local presence for integration, deployment, and operational support for the full breadth of Openet’s solutions. “This announcement sees the maturing of our relationship with Openet to the next level; Promon engineers have been working on Openet projects for some time now in preparation for this expansion. Promon is looking forward to a successful relationship directly in the CALA markets where the core strengths of each company can be realized together” said Rodrigo Parreira, Executive Director of Promon. Openet and Promon are at Futurecom in FlorianÃ³polis Oct 2nd -5th to meet with prospective customers. Futurecom is the leading Telecoms event in South America. Founded in 1960, Promon is a Brazilian organization owned entirely by its employees. Its core business is the design, integration and implementation of projects and ventures for key infrastructure sectors such as energy, oil & gas, chemical and petrochemical, mining and mettalurgy, and telecommunications. Promon currently has a staff of some 800 professionals. It has been recognized as one of the best places to work in Brazil by every edition of the annual Guia Exame â€“ As Melhores Empresas para VocÃª Trabalhar, demonstrating the soundness of its human resources management practices and the success of its business model. Additional information is available at www.promon.com.